Arild Andersen (bs); Tommy Smith (ten/fl); Paola Vinaccia (dms). This album has now become infamous as this was the last Jazz CD to be reviewed by The Scotsman much to Tommy Smith’s chagrin Led by Norwegian Double Bass player Arild Anderson together with Scottish tenor player Tommy Smith and Italian born drummer but Norwegian resident Paola Vinaccia this trio come together for their second recorded collaboration in 6 years. The album starts with a brooding introspective piece Bygone which features a long bass solo by Anderson. Let bygone be bygones I say, as the next tune Blussy is almost funky and features a rousing solo by Smith. This leads to the only cover on the album Burt Bacharach’s Alfie which is very sensitively and lyrically played by Smith’s saxophone accompanied expertly by the other 2 band members. Rossetti is a surprisingly lively number and the trio seem to really hit their stride. Reperate sees Anderson create a haunting atmosphere with the use of electronics. Raijin is a duet between drummer and Smith who plays the Shakuhachi - a Japanese style flute. Le Saleya has an almost Coltrane like feel, there is a certain poignant reflective quality about it. A brief interlude then comes in the way of another evocative shakuhachi solo Kangiten. The title track Mira is a vehicle for Andersen to really show his prowess, ably abetted by Smith and Vinaccia, to produce a rather fetching melodious offering. The penultimate tune Eight and More sees Smith once more star on sax. The final track has an almost Eastern feel to it and if the title was to be guessed using a crossword style clue it might read ‘heavy weight in middle of reviewer’ - Stevtone. This album was never likely to be wild wacky affair given its Nordic influences, however it is far livelier than one would imagine. The trio combine seamlessly to produce a highly enjoyable album. At least The Scotsman’s final Jazz review goes out on a high but what a shame it didn’t inspire them to continue reviewing music from the less popular musical genres. Hopefully if Scotland does become independent their residents will still be able to get Jazz reviews from sites such as this one although they may need a Scottish version ‘bejock spoken here’. 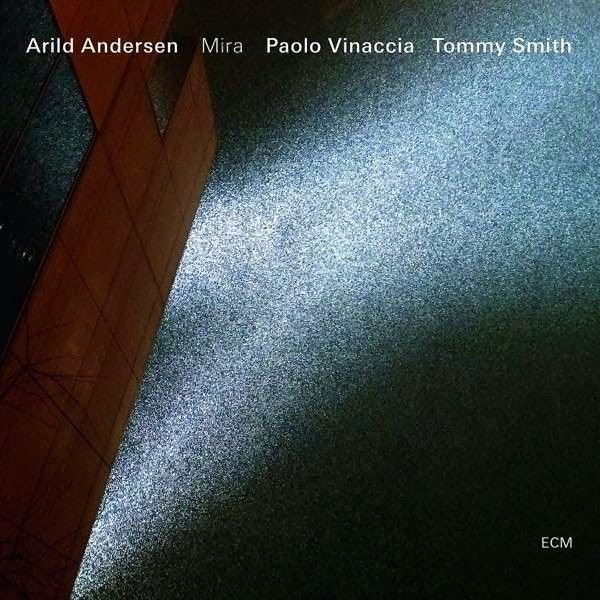 Arild Andersen - Mira is available on ECM Records. I understand The Scotsman, under pressure from Scotsmen (and women), has since relented.